This is one of those WTF stories. Over the weekend a man saved a Greenland shark when he noticed the shark “panting” and coming very close to shore. Naturally he thought it was a whale beaching itself, but then when he looked again he noticed it was a shark choking on his prey. The man walked into the ice cold water with another man who just happened to be walking by to save the shark. 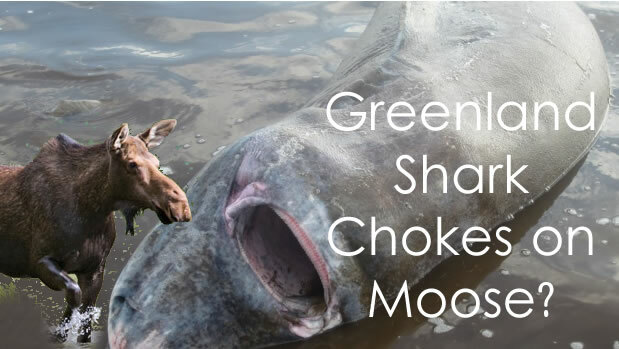 The shark was found to have moose hide coming out of hims mouth, which got stuck in the shark’s throat. The two men tugged on the hide and ripped it free from the 9-foot shark. It took a few minutes for the shark to rebound after almost suffocating and then headed off into open waters. For one, this is such an odd thing to happen, especially considering the Greenland shark is a rare sight, but two men risking their lives for it is even crazier.